Instagram is a popular photo filter and sharing app. In past few months, the app has grown a lot and added millions of new users. This is an app only service that now has the desktop presence but you cannot upload photos from the website. You can only browse the photos, like and comment. If you want to upload, you need to use the apps. The primary issue comes when you have photos on your laptop or PC and want to upload it on Instagram. In this case, we all wish to have a way to upload photos from the desktop. In this article, I will explain how to post photos on Instagram from the desktop. Even if Instagram does not allow you to post photos from the desktop, we have few third-party apps for this. Gramblr is a similar kind of service that works great. Gramblr is a desktop-based service that works on a local web server. Download Gramblr on your system and install it. Gramblr is available for Mac OS and Windows both. It was also available for Linux but the company has stopped offering the Linux build. Before you use Gramblr, you need to create an account on it and authorize the service to use your Instagram account on your behalf. Sharing your password with Gramblr is safe. Once you have created the account on Gramblr, you need to log in into the app to use it. After login into the Gramblr desktop app, you see a side menu with few options. At the right side area, you have the option to upload photo or video. I am not going to explain other options in this post. I will just focus on posting photos or videos using Gramblr. Now you can either drag and drop an image or video or click on that area to browse the photo. After browsing a pic, the step two allows you to crop the photo before you go ahead and apply filters. Crop the photos and click on ‘Save’ button. In next step, you have options to apply filters, add frames, add text and more. I was not impressed with the filters it offers. The quality of filters cannot match the quality of Instagram filters. If you are not interested in filters, this tool is fine. Once you are done, click on continue. In the final step, you have the option to add a caption before you upload the photo on Instagram. Before you click on ‘Send’ button, you can choose to either upload the photo immediately or schedule it to post at a specific time. Yes, you can also schedule posts on Instagram. When you are done with selecting all the options, click on ‘Send’ button. If you have chosen to upload immediately, you will instantly see a new post on your Instagram account. 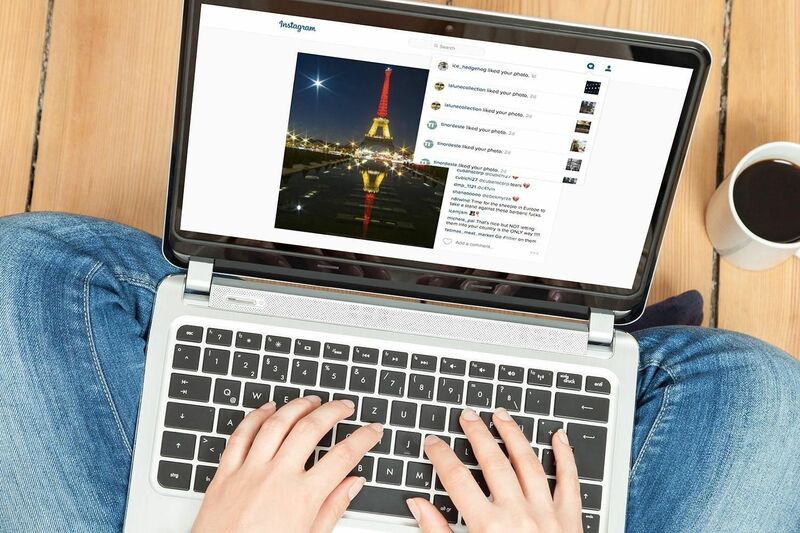 Now you know how to post on Instagram from pc. Gramblr works fine and allows you to upload photos and videos to Instagram directly from the desktop. If you are a photographer and use your camera for capturing photos, you know the pain of transferring photos from camera to desktop and then from desktop to mobile phone before you upload it to Instagram. With Gramblr, you can quickly send photos directly from the desktop.